A few weeks ago, I was thinking about all the trips I’ve made to Phoenix through the years, and more importantly, the incredible eating experience I have every time I visit. The first stop was a brilliant little brunch spot, and I always ordered the ceviche because it wasn’t something readily on menus around here. Now that Sean has moved to Boston and I won’t be spending every vacation in Phoenix (though I can’t wait for my first spy of a saguaro and a stop in for ceviche and margaritas when we visit again in the future), I wanted to recreate some of the meals I long for before my next vacation west. So, I decided to try my hand at making ceviche at home. It actually doesn’t require any stove top cooking, but I was a little nervous mine wouldn’t taste delicious. I totally thought I would experience a grave ceviche failure. It didn’t happen. It was amazing. I “cooked” my shrimp in lime juice for about 20 minutes. Then I added red onion, tons of chopped jalapenos, cilantro, and cucumber. At the very last minute, dashes of hot sauce, avocado, and diced tomatoes. It was a dream. 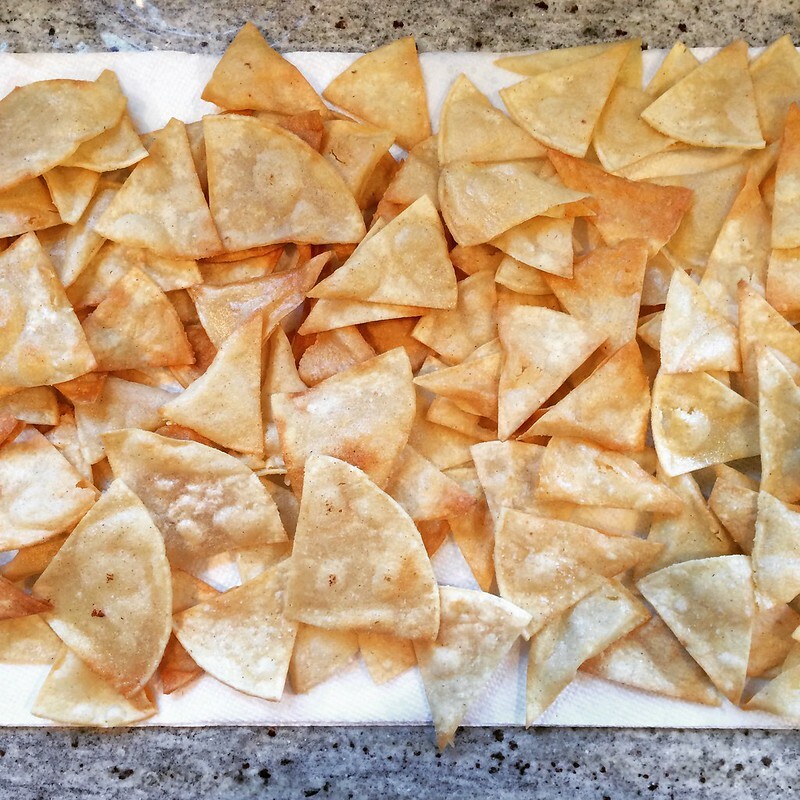 I even fried my own homemade tortilla chips to complete the entire experience. 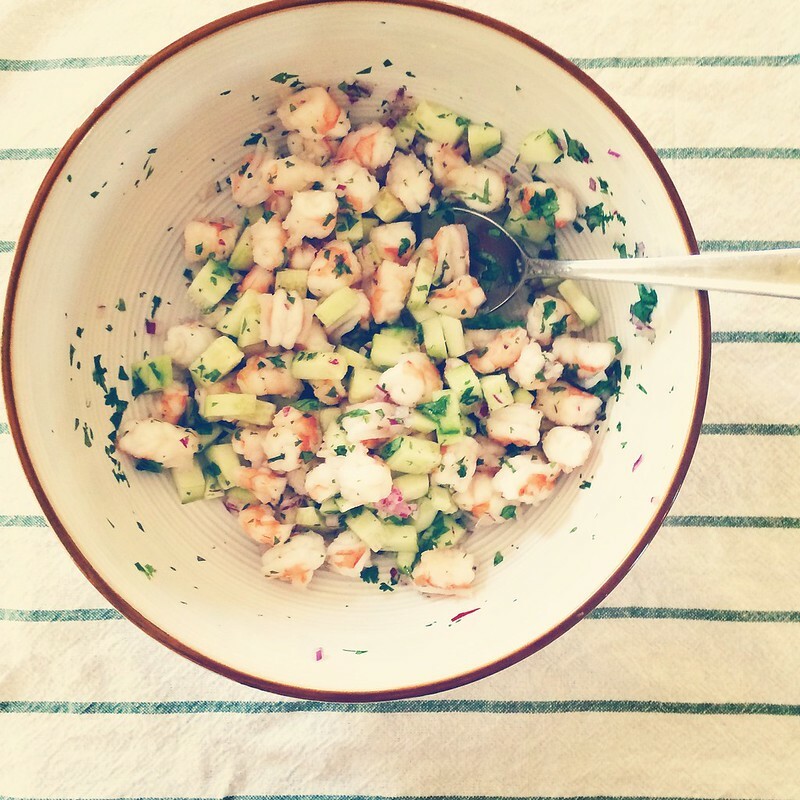 What kind of ceviche should I tackle next? Fish? Octopus? You decide.